Editor: Guns Save Life welcomes a new member to our stable of contributing authors. Please welcome Mr. Andrew Nickel, attorney at law. He brings an outstanding, in-depth look at the Illinois Gun Sanctuary resolutions for his first piece. There's a movement brewing in rural Illinois to protect law-abiding gun owners from the grasp of overzealous governments. The notion of gun sanctuaries is taken from – some might say poking fun at – the sanctuary city movement that protects illegal immigrants from ICE agents and local law enforcement. The momentum is growing as more counties join the push-back against what are considered by some to be unconstitutional, restrictive new gun laws. But are these resolutions themselves unconstitutional? Are they effective? You could argue that county gun sanctuary resolutions reinforce the constitutional rights of gun owners by placing a check on state lawmakers whom they feel are in violation of the Second Amendment. There is some precedent for this opinion. The power to enact gun laws falls to individual states, but the Supreme Court ruled in the case of Printz v. United States that individual counties have the power to oversee implementation of state or federal gun legislation. 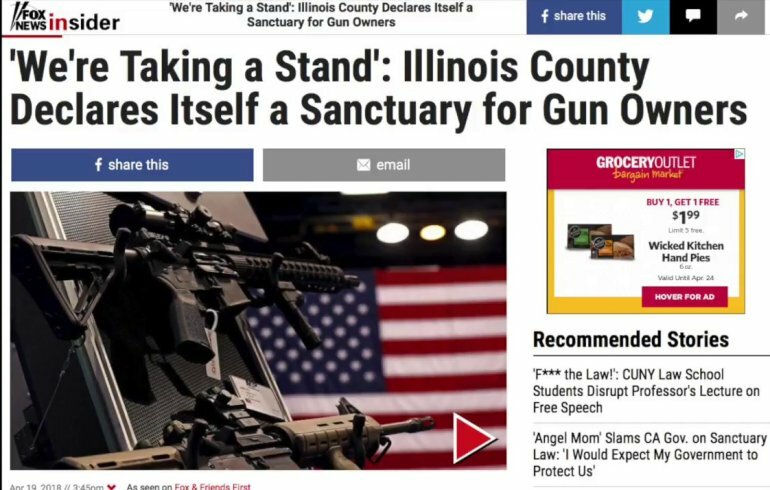 The current gun sanctuary situation began as a response to tough new gun regulations in the state of Illinois, including raising the legal age to purchase guns, standardizing the 72-hour waiting period to include all firearms, and banning sales, possession, delivery, or purchase of high-capacity magazines. The real blow came with the passage of HB 1467, which would block local authorities from enacting less-restrictive gun laws than were passed by the state. This raises a debate over the topic of state preemption, which has been used for everything from defying zoning laws to licensing. In reality, local municipalities function at the whim and discretion of state and federal governments and have no broader constitutional powers, per se. The debate over state versus local control is a microcosm of the larger debate over states rights versus federal overreach. Locals feel that they know their communities and constituents better than a governor might. In a way, giving local governments a fair amount of flexibility will allow state lawmakers to determine the feasibility of certain issues and practices before implementing them statewide. What Do the Resolutions Actually Do? There are two lines of reasoning with these resolutions. The original proposal that started the whole movement was drafted by Chad McGinnis, who represents Iroquois County's first district. It was a direct response to stricter gun laws that were pushed in the wake of the school shooting in Parkland, Florida, and the resulting anti-Second Amendment movement. The purpose was to fire a warning shot over to Springfield, so to speak. Locals wanted to let the capital know that they need to pay attention to the needs of rural residents, who have different lifestyles and interests than suburbanites and city dwellers. The second goal is to throw down the gauntlet and state point-blank that they will not enforce laws that they consider to be unconstitutional. Some counties are in one camp or the other, and some are in both. Effingham County, the second to become a gun sanctuary, is a little more hardline. Their resolution states firmly that they will not enforce laws that restrict second amendment rights. When word of the resolution reached other corners of the state, citizenry and local policy makers petitioned their own county boards to follow suit. So far, over thirty counties have either passed resolutions or plan to put them on the November ballot. The various state representatives and local leaders concede that the resolutions aren't legally binding, but they feel it's important to make their voices heard alongside the growing noise of the anti-gun lobby. The newly proposed Illinois gun laws are too strict, too broad, and deny lawful gun owners their constitutional freedoms. As written, these proposals could turn law-abiding citizens into convicted felons overnight. Although the language varies, most of the gun sanctuary resolutions state that if these new laws are passed, local law officers and courts will not enforce them. Opponents of the resolutions feel that they are ineffectual, and that localities are usurping power and authority that isn't legally theirs. They believe that if local officials can willfully rule on the constitutionality of laws they don't agree with, it creates a slippery slope to challenge or refuse to enforce other laws that might have serious consequences. Could Other States Adopt This Strategy? Counties in additional states, including Oregon, Washington, Utah, California, and Colorado, are already looking into establishing gun sanctuaries. It's possible that many more states are viewing Illinois as a test case before they decide to proceed. 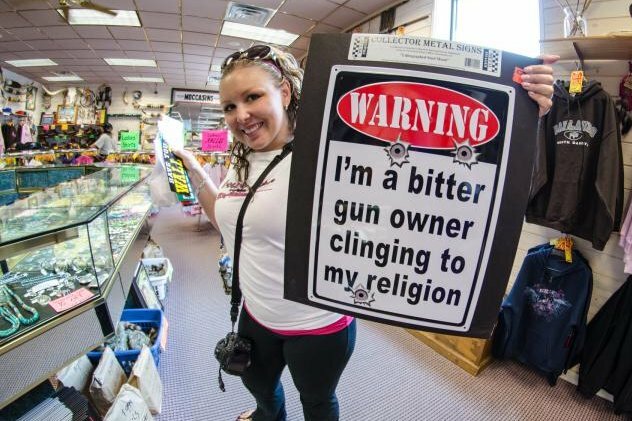 In Kansas and other states that already have fairly lax gun legislation, they're seeking to expand gun rights to allow carry in places such as churches. Arguments that center around state preemption and the rights of individual counties are likely to grow amid continuing division and legal overreach. What Have Been the Effects of These Resolutions? Since these resolutions have been adopted but not yet been challenged, it's tough to gauge their future legal impact. However, they are having an impact on gun owners who fear their rights are being trampled and their voices are being silenced in state capitols, as the country has taken notice of this movement. Twenty-six Illinois counties have adopted resolutions, and ten more intend to introduce them as ballot initiatives. It is felt that these may be harder to challenge if they are voted on by the residents of their communities. Other states seem prepared to go ahead with their own gun sanctuary resolutions. Whether or not these initiatives have any legal teeth, they send a powerful and symbolic message to lawmakers in Springfield and the anti-gun lobby: Keep your hands off the Second Amendment and our guns. This entry was posted on September 23, 2018 at 3:25 pm and is filed under GunNews. You can follow any responses to this entry through the RSS 2.0 feed.